For a professional Pittsfield, MI new roofing installation and repair services, call A.H Construction. We are a full-service roofing company that services Pittsfield, MI and all of Washtenah county, including Ann Arbor and Ypsilanti. If you want an appealing, long-lasting new roof that increases the resale value of your property and protects your investment, call us. We specialize in installing shingle and tile roofs that are great-looking and long-lasting. 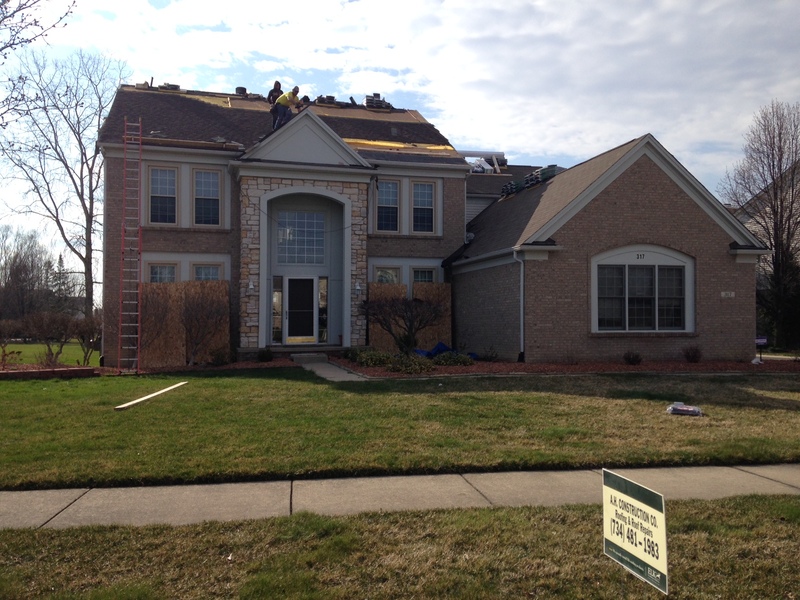 Our professional roofing contractors are expert installers with 30 years of experience providing roofing services throughout Washtenah county, MI. When you choose A.H. Construction, you can rest easy knowing that we’ll get the job done right and on time. So, if you’re looking for a new roof installation or in nead or roofing repair, call A.H. Construction & Roofing today. We offer residential and commercial roofing installation services in Pittsfield, MI and the surrounding areas. Can anyone appreciate your home or commerical building as much as you do? That’s why you only allow trusted professionals to service your home or facility, especially your roof. Roofing problems can lead to significant property damage, lost time and signifcant repair bills. Why put off something as important as repairing or replacing your roof? If you have questions, you’ll want a trusted roofing company to provide honest answers and deliver the highest quality roofing services. A.H. Construction and Roofing Company has been providing high-quality and affordable roofing contracting services 1987. We guarantee all of our work, and understand that our customers are the reason for our success. Why trust your roof with anyone else? Contact your local Ann Arbor, roofing professionals at A.H. Construction today for a FREE roof repair or roof replacement estimate. The Ypsilanti Ann Arbor Roofing Contractor You Can Count On! When you call A.H. Construction for your residential or commercial roofing needs we want you to have all the information necessary to make you feel comfortable with the roofing work and the investment you’re making in your home. That’s why we send a fully qualified roofing professional to your home to show you all the choices and materials available and to explain the process and requirements of your roofing project from start to finish.